A comScore study shows that most people download zero new apps per month. New apps appear all the time, but do people want them? 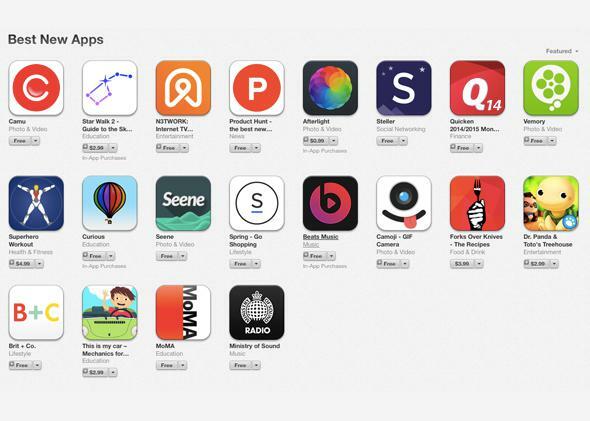 Screencap from Apple’s App Store. Google and Apple’s mobile platforms each boast about 1.2 million apps right now, and the race to develop hit apps never stops. But using data from the digital analytics firm comScore, Quartz points out a surprising trend: Most smartphone owners in the United States download zero apps per month. Actually, maybe it’s not so surprising. How often do you download a new app? For most of the non-tech journalists I know, zero in a typical month sounds about right. And the comScore data shows that 65.5 percent of smartphone users in the United States are doing—or not doing—the same thing. In total, the people who download more than none represent about a third of smartphone users. (8.4 percent download one app per month; 2.4 percent download eight or more apps per month.) Clearly people use apps all the time, because comScore reports that users spend 42 percent of the total time they’re on their smartphones in their single most-used app. So perhaps people are downloading the set of apps they want and then pretty much sticking with them long term, or they don’t want to dig through the junk to find quality apps they might like. The latest thing in apps should be fewer apps.